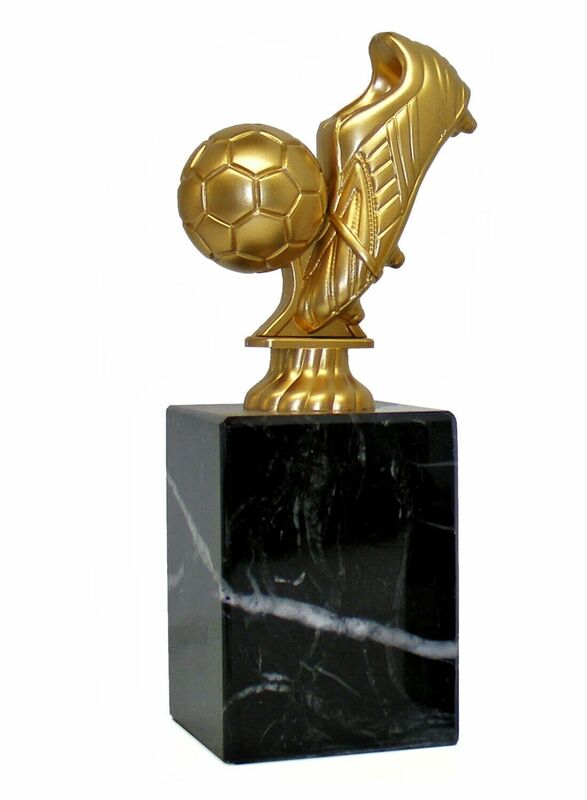 A quality resin gold and black football boot set on a column trophy. 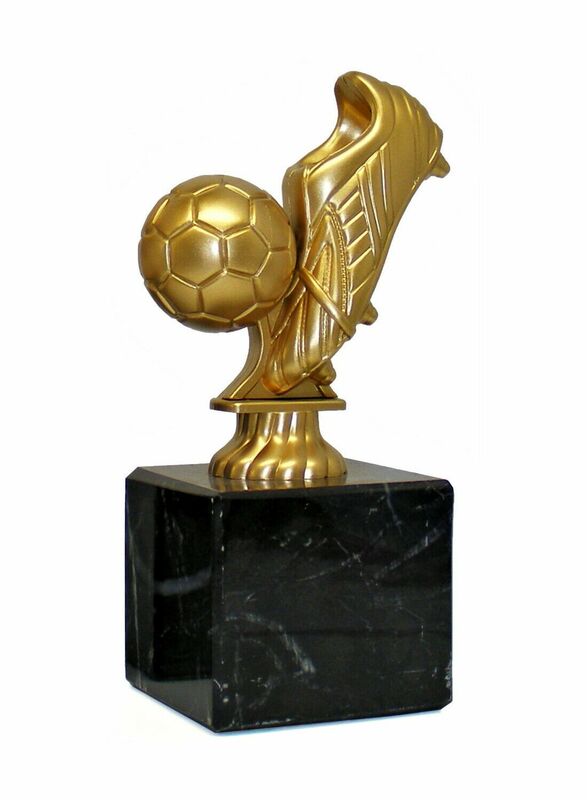 A football award that features a football being struck by a boot. It's made from durable molded plastic with a Matte Gold finish and is available in two sizes on a Black Marble effect base. We recommend engraving can be up to 4 lines of 20 characters per line including spaces.